At a distance of about 200,000 light-years, the Small Magellanic Cloud (SMC) is one of the Milky Way's nearest neighbors. It is also one of the most distant objects that can be seen with the naked eye. Located in the constellation of Tucana, it appears as a hazy, light patch in the night sky about 3 degrees across. It looks like a detached piece of the Milky Way. SMC is a dwarf irregular galaxy, which has a diameter of about 7,000 light-years and contains several hundred million stars. The total mass of SMC is approximately 7 billion times the mass of the Sun. Some astronomers speculate that the SMC was once a barred spiral galaxy that was disrupted by the Milky Way to become somewhat irregular. It contains a central bar structure. This four panel mosaic shows the central part of the SMC. 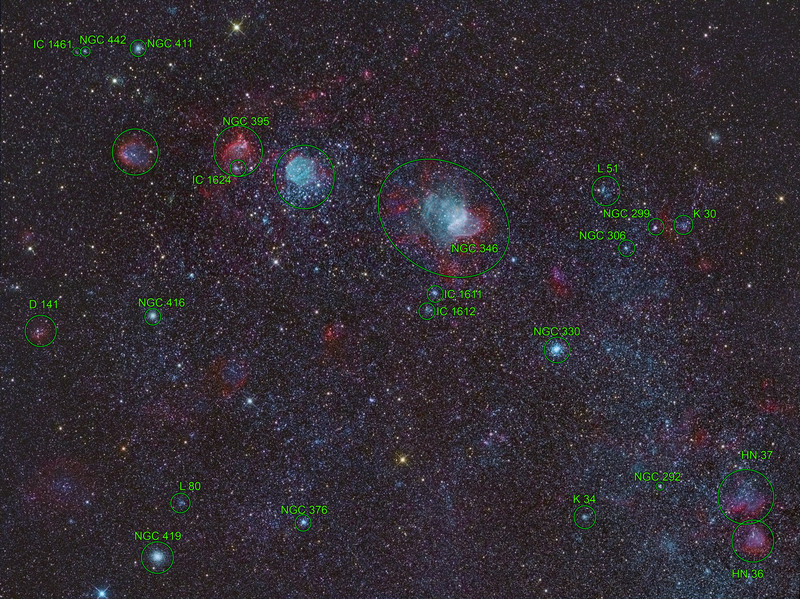 Several star clusters and H II regions could be seen on the image. For reference, please chech the annotated map. The brightest and biggest object whithin SMC is NCC 346 (see the crop). This is a star-forming region. The light, wind and heat given off by massive stars have dispersed the glowing gas within and around this star cluster, forming a surrounding wispy nebular structure that looks like a cobweb. 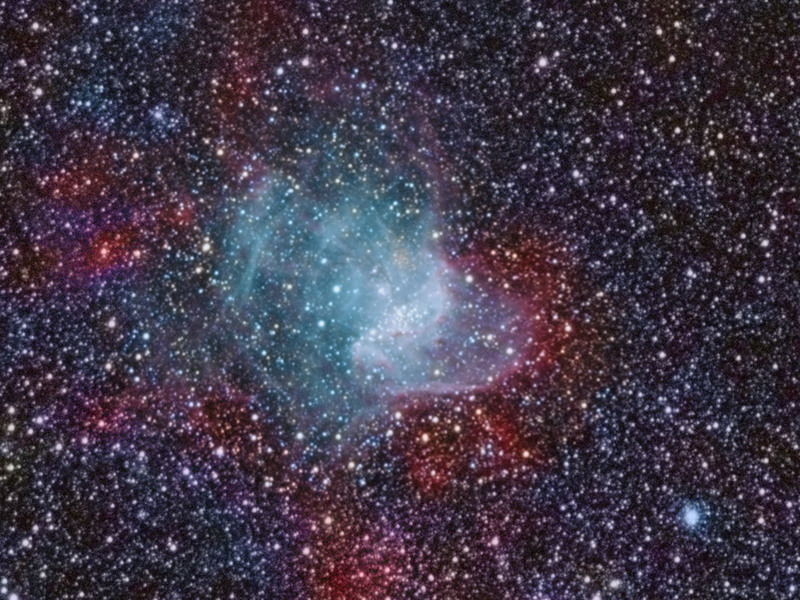 Deeper image of NGC 346 can be foun here.